When designing a game I usually start by picking a theme that I think would be fun and unique. Then I start to build some mechanics around that theme that seem to fit it well. Eventually I get to a point where I have to figure out how the game is actually played. That’s where today’s article comes in. There seems to be two main ways that games are played. Some games have turns and some games have rounds with phases. Players take turns executing phases within a round. A game is comprised of several rounds of play. That’s how I am understanding each of the terms I use throughout this article. Thanks Sen-Foong! A turn based game is one where a player takes their turn and then plays proceeds to the next player. Each turn is performed in a similar manner as the previous turns. On your turn in Ticket to Ride you perform one of three actions: building a route, drawing train cards, or drawing destination card. Every turn presents you with those same three choices. Every turn is the same. The game builds from turn to turn, so the choices you make vary, however, the options are always the same. This form of gameplay is usually more accessible and easier to teach and learn. “Pause” Type – Games where rounds separate the gameplay for a special event. “Seasonal” Type – Games where rounds establish differences in available actions. A Pause Type round based game is one where players perform a standard action on their turn. This repeats until all players have performed as many actions as they are allowed. Then the round ends and an intermediate event occurs. Round based torment of making sure you can feed your family. On your turn in Agricola you place one of your family members on an action spot and perform the action. This continues until all players have taken their turns with their associated family members. Once all players have done so, the round ends. The intermediate step between rounds is often a harvest where players gather crops and feed their family. Then a new round begins. The turns are the same, but there are breaks that separate the gameplay, dividing the game into rounds. So while each turn itself offers the same choices, the game is broken up to include more than just the turns you take. Players must deal with the requirements of the intermediate events. A Seasonal Type round based game is one where players take actions specific to the current phase of the round. These are games where only specific actions are available depending on the current phase of the round. So each turn a player takes offers different options. Auction, Buy Fuel, Build Network, Exert Supremacy! What you do on your turn in “Seasonal” games like Power Grid depends on the “season” you are in. Power Grid rounds begin with a power plant auction. So this portion of a round involves deciding if you want a power plant, which one, and how much you are willing to pay. After that players purchase fuel and determine the type(s) and how much fuel they will buy. 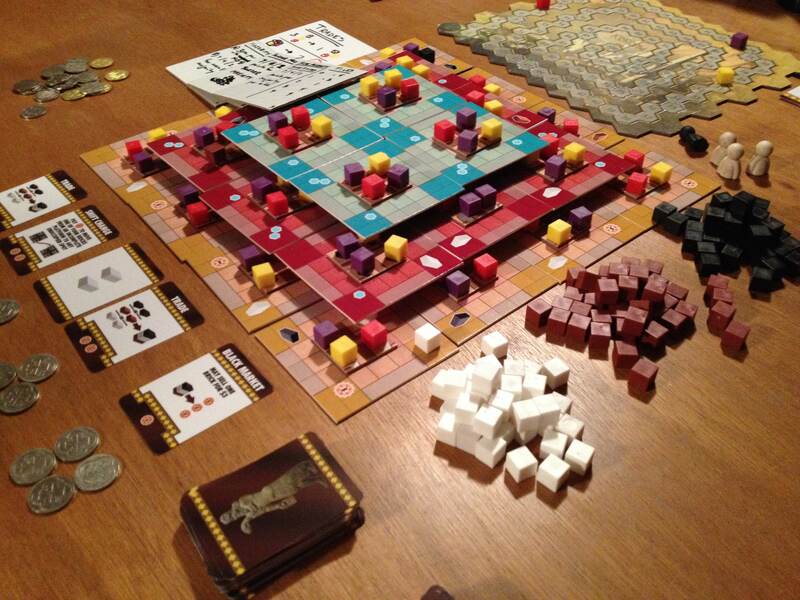 Then players must decide if they will expand their power grid by building on the board. After that phase comes a sort of “clean-up” phase where players use fuel to power their grid and earn income. In these types of games each round offers a series of different types of choices for players. Seasonal type games are usually the least accessible in terms of teaching and learning the game. However, they often offer greater and deeper strategy. This can be a difficult part of game design. On one hand most designers would agree that they want their game to be as easy to teach, learn, and understand as possible. On the other hand most designers would also like their game to have a nice deep level of strategy that present difficult and interesting decisions to the players. I want to make it clear that turn-based doesn’t necessarily equate to “easy to teach, learn, and understand,” and round-based doesn’t necessarily equate to “deep strategy and interesting decisions.” But I would say, in general, that turn-based are simpler to teach and learn, which makes them more accessible. So how do you decide if your game should be turn based or round based? In general I always start my designs as turn-based and then modify that if it becomes apparent that round-based would be better. But let’s take a look at a few things that might help you make your decision. What does the theme call for? If you are designing a game where there is no reason for phases, then design for turns. Qwirkle and most other abstract games are deserving of being turn-based. Sometimes a theme makes it obvious that round-based play would be better. If you want players doing different things throughout the game it might make sense to have phases where each player works through the different aspects of the game. I recommend that you choose turns or rounds with your theme in mind. If it fits thematically then you’re on the right track! What are your desired mechanics? The things you want a play to do during a game can help you make the decision. If you are using a worker placement mechanic, most often you will have a round based game. Stone Age is a great example. In each round players put there family members on different spots. Once all are placed then the next phase begins, of bringing your family back. Then there is a phase of feeding your family and resetting the board. But that’s not always the case with worker placement. An exception is The Manhattan Project. In that worker placement games there are no rounds with phases. Rather, once your workers are out on the board you will spend a turn bringing them back. It’s important to consider what you actually want players to do during a game. This can help you choose the mechanics and whether you want the game to be turn-based or round-based. What’s more fun for the game? As the designer I recommend you ask that same question about your game. Would turn-based be fun? Would round-based be fun? Which option would be more fun? We are designing board games here, not water bottles or bicycle gears. What we are doing is all about fun. So don’t forget to include that in the design! Well I hope I’ve provided you with at least something to get you started. The bottom line regarding turns or rounds is that both can be fun, interesting, and can make for a good game. How do you choose which one works best for your designs? Scoville can heat up your frigid winter! It’s a glorious Monday morning! Scoville is burning up twitter. The feedback so far from people on Board Game Geek is overwhelmingly positive. I’ve very thankful that people are enjoying the game. If you like it, head over to BoardGameGeek.com and rate it or write a review. Side note: I haven’t yet received my Kickstarter copy. So if you haven’t received yours yet, you’re not alone. One complaint I have been reading is that people seem to run out of the peppers. This was a very rare occurrence when playtesting the game, though my prototype did have slightly more peppers than the final production. But if you run out, please feel free to download and use this image to help keep peppers in the supply. 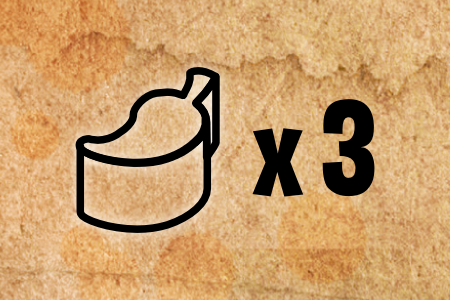 Use these multiplier tokens when you have a bunch in your stash and the supply is running low. As we start another week I am feeling inspired. I chatted with my mom a little bit yesterday after the Green Bay Packers game. We were discussing game design and how it wasn’t ever one of my goals in life as a kid. She reminded me that I wanted to be a Police Sketch Artist when I was little. It’s funny to me that only five or so years ago I wasn’t that big into gaming (or “real” gaming). But I met some awesome people along the way and started to think I could design a game. 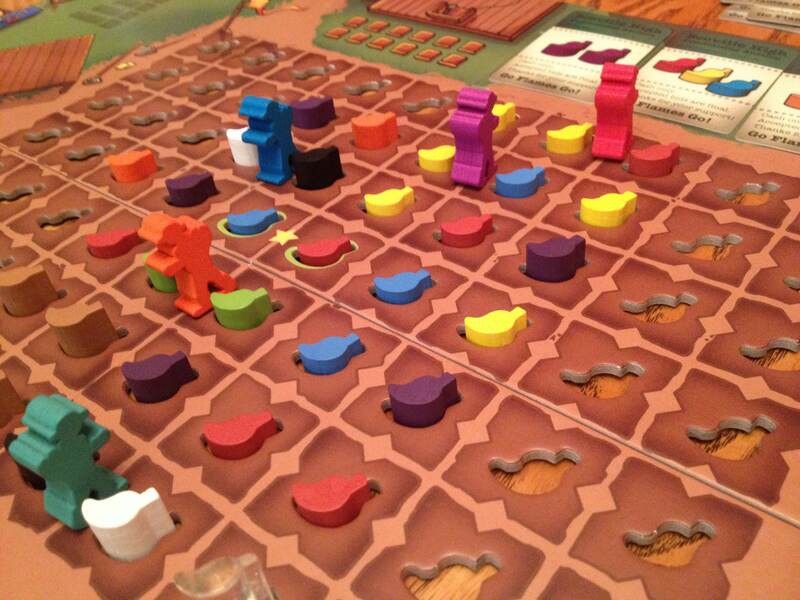 And here we are, with Scoville about ready to hit retail. So amazingly exciting! After having the McEwan’s Scotch Ale last week I didn’t think I could ever enjoy a different brand. Obviously that’s not true, it’s just a way of stating how enjoyable the McEwan’s was. But I enjoyed the Tyranena Sheep Shagger quite a lot as well. It has a wonderful taste and nice body which makes it quite enjoyable on a cold winter night. NEW! – Perennial Dual Artisanship – I picked this up because I had heard awesome things about Perennial and Prairie Artisan Ales out of St. Louis. It is a Belgian style brewed with Brettanomyces yeast. It was lovely, though I doubt I’d get another one since it was $13. Me either, Tom! Playing Caverna was an amazing experience. There is so much going on in the game that it is easy to lose track of things. However, the improvements over Agricola make this game far superior to me. Feeding your family is no longer a singular focus. Adding the Adventuring reduces the importance of Family Growth. There are numerous paths to victory. And the components! There are so many components. Literally tons. And they’re great components. Sticks. Dogs. Rubies. Donkeys. I cannot wait to play again. NEW! – Abyss – The board is a bit unnecessary since this is basically a card game. However, the artwork on everything is truly epic. The game was enjoyable with interesting decisions, quick play, and feel-good moments. I’d play it again and enjoy the beautiful artwork. I’ve been pretty lax with my design efforts lately as the Scoville roll-out has been ongoing. But I did sit down the other day to work on Ziggurat. I thought of a fantastic way to ditch the singular path to victory while making the game more interesting, more intense, and more enjoyable. Now it’s time to put all that stuff together into a new prototype and get it to the table. Thanks for reading. 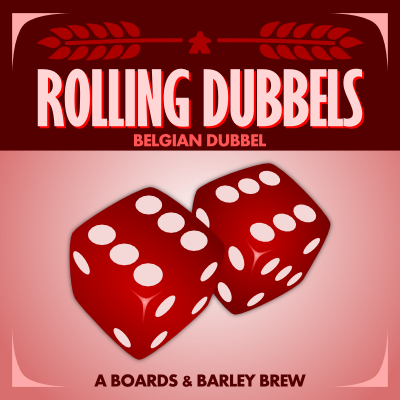 What Boards & Barley have you been enjoying? Awesomeness coming soon to a table near you! Hello Ladies and Gentlemen. With people posting pictures of their copies of Scoville on Twitter and Facebook I figured I should post something about Scoville. This has been an extremely fun ride from the start of the design process all the way through to this point. I can’t wait to start reading reviews and hearing what people think. So today I have a few tips regarding the game and the components. I will also link to a different version of the cross-breeding chart for those who are more equation oriented. OCD vs. non-OCD: The board has pepper punch-outs so that the peppers can be “planted” and all line up perfectly. This is great for people who want things all orderly and such. HOWEVER, if you would prefer to be able to put the peppers on the board in any direction, then just don’t punch out the pepper punch outs. Would you prefer those peppers to be sloppily arranged? Pepper Punch-outs: “Pepper Punch-outs” is not the name of an expansion I’m working on (though I suppose it could be!). These are the little cardboard pepper shaped pieces you can punch out of the board. I mention them because they come in really handy if you happen to run out on any specific color of pepper during the game. I recommend saving these little cardboard peppers in the box, just in case you need them. Sleeve the Cards? : Some people sleeve cards for every single game they own. Others sleeve them for games with high-use cards. The cards in Scoville are what I would call “low-use.” The cards are only handled when obtaining them and scoring them at the end. Otherwise they just sit around. So I personally don’t feel they need to be sleeved. However, if you prefer them sleeved, check out this thread on BGG which can give some guidance about the right size of sleeves. The recipes are 44x67mm and the market cards are 51x51mm. An alternate Scoville Cross-Breeding Guide. That should help you out in case you don’t like the 10×10 grid version. 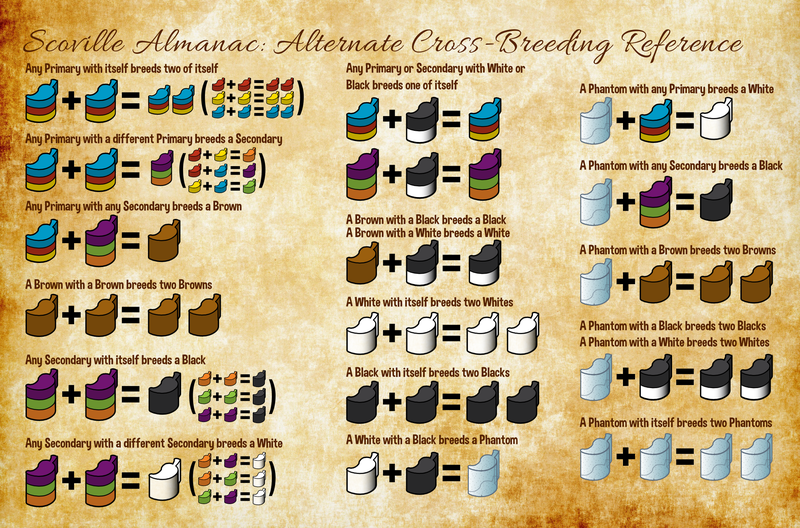 As I designed the game I struggled mightily about choosing the form of the cross breeding chart. This equation version was easy to read and put things succinctly. But the grid put every breeding combo right in front of you. So I went with the grid. If you prefer this equation version, please let me know. Bonus Plaques and Market Orders: Recipes are mighty appealing, and they should be. But don’t count out the bonus award plaques from the town mayor. Also, don’t neglect the market orders. Many of the afternoon orders are worth 4 points. So if you can get a few of those they really add up. Bonus Abilities: These are worth 4 points each if unused, but I recommend using them. They can be used to create a huge advantage in the game. One way I like to use them is to gain multiple phantom peppers at a time while preventing all other players from getting any. Plus, the game is meant to be played for fun and I believe it is fun to use those special abilities. Block other Players: I love how you can block other players from spots on the field. Use this to your advantage. Plant a good combo in a spot only you can reach and then end your turn there even if you’ve only moved one or two spots. This can induce frustration from the other players, which can be fun. The Yellow and Red player are mired in battle for the peppers in that part of the board. 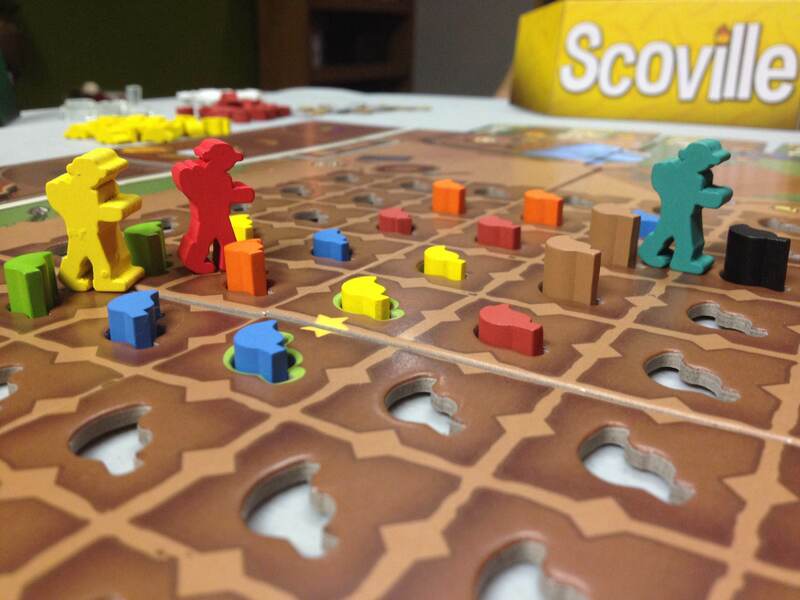 Thanks so much for your interest in Scoville. I believe copies will be moving to retailers and online stores in the very near future. If any of you have issues with your components in your copy, please let me or Tasty Minstrel Games know right away. And if you enjoy the game, feel free to rate it a 10 on BoardGameGeek.com! You’ve probably been seeing this sorts of articles all over the interwebs. If so, thanks for reading mine as well. First things first, my wife and I had our third baby this year. That means I didn’t accomplish as much as I wanted. And that’s still the case. I’m lucky to have signed Scoville when I did since we were sort of “between kids.” Since we had our third my homebrewing and board game design endeavors have faded. My goal for homebrewing in 2014 was 6 batches of beer. In that list was a pumpkin ale, an IPA, and a lagered Oktoberfest. I did none of those. The brown ale and hefeweizen are currently in corny kegs in my basement refrigerator. I have a very generous neighbor who has loaned me a bunch of brewing equipment including the kegging stuff. The dubbel is sitting patiently for me to devote an evening to bottling. Overall I’m a little disappointed that I didn’t brew more. That’s something I’ll try to remedy. On the consumption end of brewing I had a pretty successful year. I began using UnTappd and have been able to have a great record of the brews I’ve enjoyed. In 2014 I logged 107 distinct beers. That’s a new brew every 3.4 days… not too shabby. So despite the lack of homebrewing I’d say that it was a successful beer year. It’s unlikely I’ll be able to log 100+ new unique beers in 2015, but I’ll try my best. 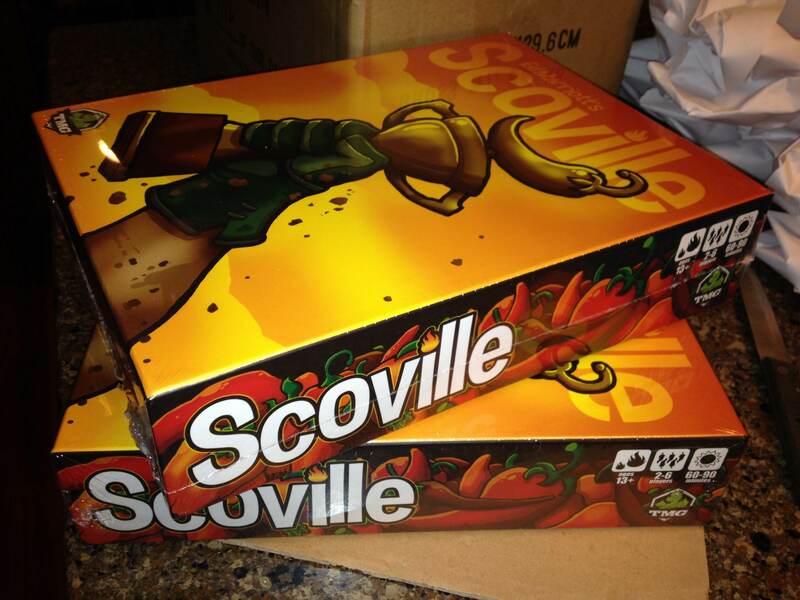 Obviously the highlight of my 2014 from a board game perspective was the successful Kickstarter campaign that Tasty Minstrel Games ran for my first published design, Scoville. It raised over $106,000! It was amazing to watch all that support come in during the campaign and I cannot thank all you backers enough. The next highlight was getting to play Scoville with a final production copy at Gen Con. Punching out the little peppers, holding the pepper shaped bits, and planting and harvesting on the nice thick board with my close friends was a great memory. On the design front, I didn’t sign any games in 2014. But I blame that on the fact that I didn’t really design any games in 2014. The biggest effort was for The Grand Illusion. This is a game where you are a street performer trying to work your way up to having a big time show in a theater where people come to watch you perform a grand illusion. Thematically it was my favorite game to work on. I love the theme of Victorian era magicians competing over audiences. My efforts for The Grand Illusion included making several prototypes, ordering a deck of cards from The Game Crafter, and playtesting it about a half dozen times. The end result was that it felt like it was lacking. So I shelved it. Otherwise the only other thing of consequence from 2014 was a new design called Ziggurat. This is a resource management game where players are trying to be the best contributors to build the ziggurat. This game has one of those unique elements which sets it apart. It has been played about a dozen times now. While it plays through to the end, plays smoothly, and players are generally positive about it, it too feels lacking. It currently struggles from a “One path to victory” mentality and is devoid of any catch-up mechanisms. To alleviate that I want to add some private scoring conditions as well as allow scoring via different paths. This will make the game more “Euro-y” as well as more enjoyable. I’m hoping that Ziggurat will become my next signed game and I have big plans for it in 2015. When my friend Ben and I were in the exhibit hall at Gen Con we wandered past a demo of Five Tribes by Days of Wonder. We were immediately in awe of its beauty. The game simply looks fantastic. As we stood and watched the demo we quickly realized that this would be a good game, and a game we would like to own. Ben went to the counter and asked if they had any left, which they did not. However, he was told that they would have something like 50 or 100 copies the next morning when the exhibit hall opened. So Ben got in the hall and in line as early as he could and was fortunate enough to snag a copy. His copy has since been played more than any other game by our gaming group. The game not only has beautiful artwork, but it also has excellent wooden components. The palace and oasis pieces are particularly nice. Days of Wonder has a really excellent game with this one. Istanbul: This game is clever and interactive. Players move their merchant around the markets in Istanbul trying to purchase or earn rubies. By making clever use of their assistants they create opportunities to earn those rubies. I love that the game is pretty easy to learn and understand while simultaneously creating interesting and deep decisions. The final thing of note for this 2014 Year in Review is that three friends and I decided to begin a board game publishing company. We will be Moon Yeti Games and our plans are to publish great games with beautiful art and high quality components. 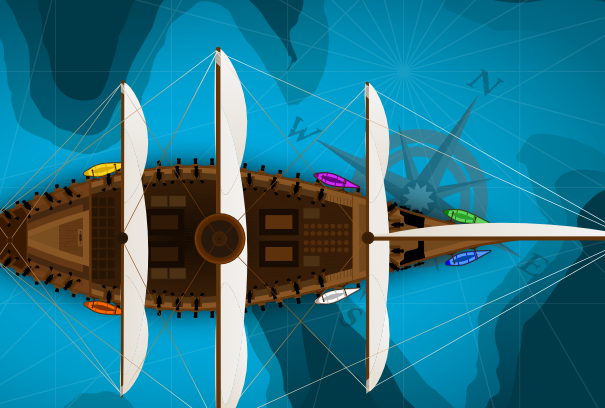 The highlight of 2014 for Moon Yeti was that we gave away about 100 copies of our first game, Mutiny, at Gen Con. Adam Buckingham designed a 4-card social deduction and back-stabbing game to go on the backs of our business cards. We played it a ton and settled on a design, had them printed, and gave them away at the convention. That was pretty awesome. Moon Yeti is currently developing a version that goes up to 8 players. We hope to have it for sale through our website over the next few months. For more information, check out moonyeti.com. Thanks for reading and I wish you a fantastic 2015!